Drum Corps International (DCI) has made an exceptional name for itself. Proving to be a dream destination for ambitious, young drum corps enthusiasts, these athletes are granted a world-renowned education from the league of DCI and given a global platform to display their skills through competition. The Pyware team is honored to play a role in the success of Drum Corps International and we wanted to extend our congratulations to the award winners who competed in the 2017 DCI World Championships. The Blue Devils came out on top clenching the title of DCI’s World Championship for the program’s 18th time! Santa Clara Vanguard finished in second place overall and dominated the caption awards in the World Class Finals for best brass and percussion performance, best general effect, best visual performance and best color guard. “Pyware 3D has been the essential design tool for the Santa Clara Vanguard. 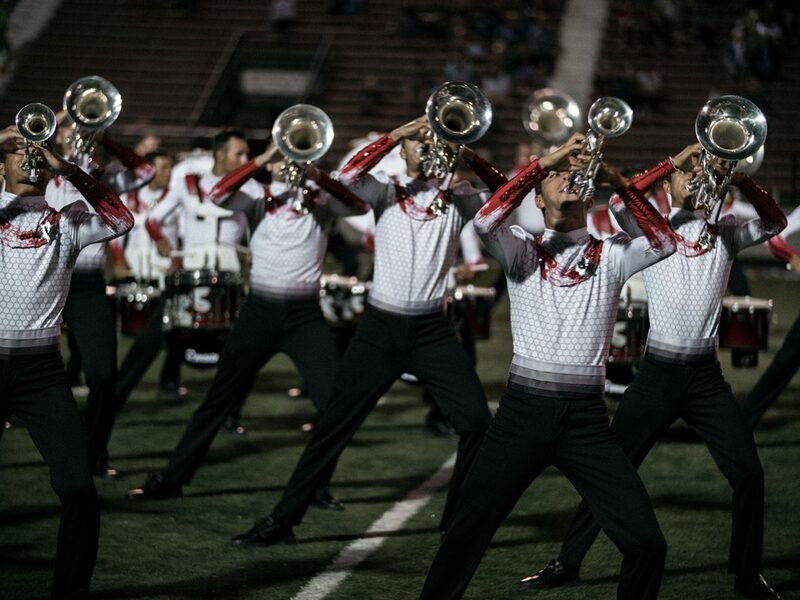 It’s easy to use, intuitive design provides instant feedback while planning coordinated effects, and gives us the flexibility for creating spontaneous out of the box moments,” Santa Clara Vanguard drill designer Peter Weber states. Having representation in 12 out of 12 of the world class finalists, we had the opportunity to work with many of the corps that compete in DCI, marching music’s “major league.” Our calling is to provide drill designers and marching bands a system that will boost the imagination of the designers, the speed and accuracy of the athlete’s learning process and the overall visuall experience of the performance. The Pyware team is honored and humbled to work with the phenomenal groups that participate in DCI. We fully support the mission of Drum Corps International and once again, would like to congratulate all participants!